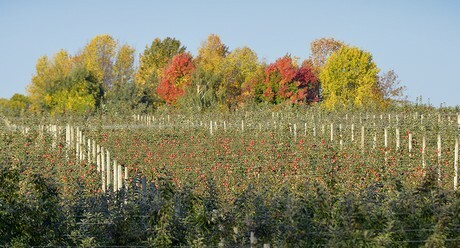 New York State is heavily into production on apples and the crop is proving larger than last year’s. He adds that other growing regions including Pennsylvania, Michigan and Washington are also experiencing good crop sizes. Allen does note that the sizing on some earlier varieties such as SweeTango, Honeycrisp and McIntosh aren’t quite what they anticipated due to the lack of rain. “But the midseason or later varieties, we’re pretty confident they’ll size up and be very good,” he says. These include varieties such as Empire and Fuji apples. He also notes that New York Apple’s four managed varieties—SweeTango, SnapDragon, RubyFrost and Koru—are also considerably up in volume. Koru apple crop from New York Apple Sales. 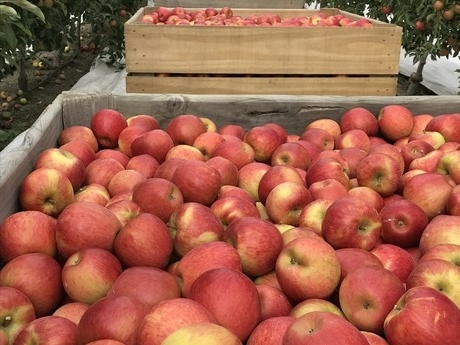 While not much changes from a demand perspective for apples in the fall, what can affect things is if there’s crop carry over from the previous year. “There’s a little bit of a carry over on Granny Smith but overall the inventories were very manageable so we’re not going into a fall season with last year’s apples,” says Allen. As for pricing, he notes that with good demand and high supplies, pricing is currently whatever the market will bear.